Today UK's Lemon Recordings (a division of Cherry Red Records Ltd) have released BLACK JACK "Anthology". 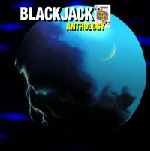 The 'compilation' contains both Black Jack vinyls "Black Jack" and "Worlds Apart" on one CD. Both albums have been long regarded as AOR classics and are both highly collectable on the rock market. Sadly the band split after their second LP with Gennaro going on to join Pat Travers and Bruce Kullick moving on to infamy with Kiss. Michael Bolotin changed his name to Bolton and went onto have massive success as a solo artist. throughout the nineties. The first ever European CD release features extended sleevenotes and new artwork with a full discography and contains an exclusive interview with guitarist Bruce Kulick by Classic Rock's Malcolm Dome. Last year KISS inspired Glam Rockers WIG WAM (Norway) ended ninth with their song "In My Dreams". With two other Hard Rock acts in 2005 (Vanilla Ninja for Switzerland and Gracia for Germany) it was a little disappointing to see only one Hard Rock act was billed for the 2006 Eurovision song contest. But what no-one could expect .... Monster Rockers LORDI from Finland won the Eurovision song contest with a smashing 292 points, followed with a Russian contribution (a Enrique Iglesias sound-alike) on second place with 248 points. Except for Armenia, Monaco and Albany (and Finland, simply because they can't vote for their own contribution) European viewers from ALL (!!) 33 other countries gave (good) points to LORDI's song "Hard Rock Hallelujah", this in a show that is normally associated with catchy pop and big ballads. For all 3 performances (half-finals, song contest final, and winner performance) of "Hard Rock Hallelujah" the 5-piece band LORDI added a 6th member in the back, singing background vocals and wearing Gene Simmons make up ! Some European viewers are already complaining about this years result, without realizing their own countries gave them the points. Just comparing this year result with 2005, when Greece won with 230 points, followed by Malta with 192 points, it's clear to say that Finland won this year in a glorious way. On Thursday May 18th, the Finnish Monster Rockers LORDI was among the 10 semi-finalists who were voted into the Eurovision song contest final. A high-quality video of LORDI's winning performance at the Eurovision Song Contest final on Saturday (May 20) in Athens, Greece can be downloaded at this location (75 MB). More videos of LORDI's performance at the Eurovision final are available at this location http://vampyrvideo.blogspot.com. 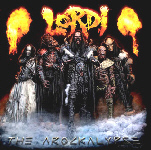 Earlier this year LORDI's latest CD, "The Arockalypse", entered the official Finnish chart at position No. 5 and climbed up to position No. 4 in its second week of release. The album features guest appearances by TWISTED SISTER frontman Dee Snider and guitarist Jay Jay French, as well as former ACCEPT vocalist Udo Dirkschneider and ex-KISS guitarist Bruce Kulick. The CD entered the German national chart at No. 55. In related news, Greece contribution came from Anna Vissi, who once covered KISS "I was Made For Lovin" You" for her 2000 album "Everything I Am". In Athens the 48 year old Anna Vissi performed "Everything", a powerful rock ballad in the vein of KISS "Nothing Can Keep Me From You" (Detroit Rock City soundtrack). If Paul Stanley is ever planning to do rock ballad duet, she's the one IMO. VH1 will debut the "VH1 Rock Honors" this month to pay homage to the gods of hard rock. The inaugural honorees are KISS, Queen, Def Leppard and Judas Priest. The ceremony will be taped at the Mandalay Bay Events Center in Las Vegas on Thursday, May 25, and will pay tribute to hard-rock legends much like the Rock Hall of Fame does, with "spoken tributes, filmed packages and performances by some of today's hottest rock acts as well as the legends themselves." An all-star band consisting of Rob Zombie (vocals), Slash (guitar; VELVET REVOLVER, ex-GUNS N' ROSES), Tommy Lee (drums; MÖTLEY CRÜE), and Scott Ian (bass; ANTHRAX), plus a "special-surprise" second guitarist — will be paying tribute to KISS at the first annual "VH1 Rock Honors". VH1 Rock Honors" will air May 31.and will include performances by all of the honorees as well as tribute performances by GODSMACK (paying tribute to JUDAS PRIEST), FOO FIGHTERS (QUEEN) and THE ALL-AMERICAN REJECTS (DEF LEPPARD). 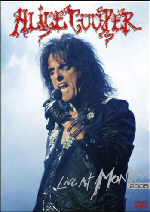 Eagle Eye Media/ Eagle Rock will release Alice Cooper's new DVD "Live In Montreux 2005" in Europe May 29. The US version is due May 30th. Eagle Rock have confirmed the 27 song-tracklisting for the DVD and the (19 track-) bonus-CD. The concert is recorded at the world famous Montreux Festival, June 2005, as part of his ‘Dirty Diamonds’ tour. The band features Kiss’ Eric Singer (drums), both Ryan Roxie (Electric Angels) and Damon Johnson (Brother Cane) on guitars, and bassist Chuck Garric (who recently toured with Eric Singer's ESP with Bruce Kulick). Swedish all girl hardrock band "VISION" performed the KISS classic "Lick It Up" on Swedish National TV recently. TV program "Rundgång" visited the hardrockband Vision's rehearsal space and they performed the KISS song "Lick It Up". To listen to VISIONS version of "Lick It Up" click here. 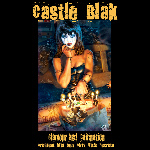 Just to let you know that we sold all 500 CDs pressed of the "Christine Sixteen - A Highschool Tribute To KISS". Currently we're planning to do a Metallica tribute next year. Also Patrice got an invitation to attend the grand opening of the Kiss CoffeeHouse in Myrtle Beach (South Carolina) in June. "The kids and I will meet Paul Stanley and Gene Simmons privately and then some of the (Highschool-) kids will sing live in front of them (and 12.000 - 15.000 people) with the tribute band KISS ARMY... "
May 11 : SOUTHERN ROCK ALLSTARS covers "Rock 'n Roll All Nite"
MTM-music will reissue the 2005 SOUTHERN ROCK ALLSTARS DVD "Troubles Coming Live" for Europe, which is scheduled for a June 16, 2006 release. 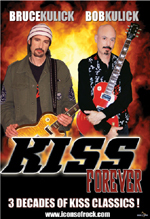 The DVD will feature a cover of the KISS classic "Rock and Roll All Nite". The SOUTHERN ROCK ALLSTARS are veritable all star act consisting of members of legendary rock bands such as MOLLY HATCHET, BLACKFOOT, LYNRYD SKYNRYD and TOKYO ROAD.